– Fax Unlimited: Unlimited pages. Price per user, not per page. Includes 2 fax numbers, add’l numbers $4.99/mo. Phone and web support. Major Formats Supported PDF, TIFF MS Office, Rich Text Plain Text, HMTL, CSV PDF, EFX, TIFF, MS Office, OpenOffice, Lotus, plain text, rich text, StarOffice, more. In order to use paperless fax with VoIP, you have a phone number capable of receiving faxes, either your regular number or a new number, which may be local or toll-free, and the fax you receive will usually be a PDF received in an email. The PDF can be read on your computer or mobile device. In order to send an outgoing fax, the document is scanned, and then the PDF of that document will either be sent using software or emailed to the provider’s server, which in turn sends a fax. You do not have to be signed in or even have your computer on in order to receive paperless faxes. Unlike traditional faxes, you won’t have to worry about a busy signal or need to connect and disconnect your fax machine to the phone line. There is another plan, which is not billed per page. The Fax Unlimited plan, also known as the corporate plan, is $49.00/mo yearly contract, or $39.99/mo monthly. In addition to unlimited faxing, each employee can have their own dedicated fax number with this plan. The Fax Unlimited plan includes two phone numbers, not just one. You can get additional phone numbers for $4.99 each, and while this premium option is emphasized on the Fax Unlimited plan, the option of more numbers is available on all plans. Both eFax and RingCentral give your choice of toll-free or local numbers, if you wish to use their pool of numbers. RingCentral has a charge of $30 for a vanity number, but eFax does not offer vanity numbers at all. Number porting is free for both providers. Next we come to the issue of compatibility. Neither RingCentral or eFax support traditional fax machines, and only support scanners and printers. With both providers, you can send and receive your faxes through email and your mobile device. Both eFax and RingCentral have plugins that make it easy to fax directly from a Microsoft application. eFax takes a slight edge when it comes to file compatibility. Both services provide support for Adobe (PDF) and Microsoft (doc), but eFax supports some more lesser-known formats, including OpenOffice, CAD, Lotus, and StarOffice. eFax Supports: PDF, PS, PSD, IFF, DXF, CSV, GIF, SHW, WPD, P5, WP6, EFX, JFX, EPS, HTML, JPG/JPEG, 123, WK1, WK3, WK4, LWP, XLS, XLSX, PPT, PPTX, PUB, WRI, DOC, DOCX, DOT, DOTX, WPS, ODG, ODP, ODX, PCX, TXT, LOG, ERR, C, CPP, H, PNG, QPW, WB1, WB2, WB3, RTF, SXD, SXI, SXC, TIF/TIFF, VGA, VSD, BMP, WPG. RingCentral Fax Supports: PDS, PSD, DOC, DOCX, DOCM, DOT, MCX, XLS, XLSX, XLSB, XLSM, PPT, PPTX, PPTM, VSD, VDX, PUB, WPS, WRI, AWD, TIF/TIFF, JPG/JPEG, BMP, PNX, PCX, TGA, RTF, TXT, LOG, H, CPP, C, EFF, HPP, WK1, WK3, WK4, WQ1, HTM/HTML, MHT, MHTML, CSV. Both RingCentral Fax and eFax have generous storage for copies of your sent and received faxes. Both providers let you save copies online for an unlimited amount of time, but RingCentral saves the last 200, whereas eFax has unlimited storage. If you need to hold on to your documents for a long time, eFax is the better choice. One of the major reasons fax machines continue to be popular is that its the only way to get a signature on binding documents. Fortunately, the technology has caught up to solve this problem. 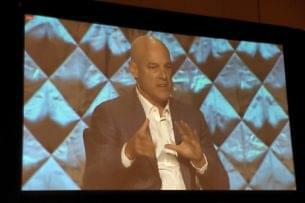 In Ringcentral’s case, you sign a blank sheet of paper, and fax it to yourself. 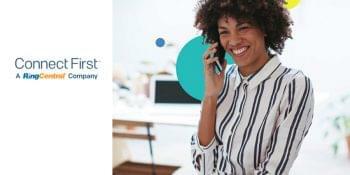 Then you save your signature as a graphic using Photoshop, Paint, or any other graphic program, and you can add your signature to a “stamp gallery” using the RingCentral Call Controller. eFax has a similar program, called eFax messenger. eFax messenger includes a tool to crop and save your signature rather than needing Photoshop, but the process is the same—fax yourself your signature, save it as a stamp, and add it to any document that needs your signature. One great advantage of paperless fax over traditional fax is that you can integrate your favorite cloud storage. 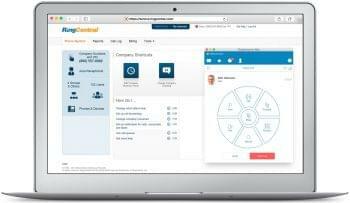 RingCentral syncs seamlessly with Dropbox, Box, and Google Drive. eFax integrates Google Cloudprint, but does not integrate with Google Drive, Dropbox, or Box. This is one feature where clearly RingCentral Fax is better. RingCentral Fax offers phone support for their 1000 page and greater plans, and eFax offers 24/7 live support. eFax has a more generous trial. They allow for a 30 day free trial, with full service. RingCentral Fax allows a 7-day trial with up to 30 minutes (30 faxes to send or receive, not both) of faxing. There is no setup fee for either provider. It is important to note that RingCentral hosted PBX plans include basic fax service at no extra charge. 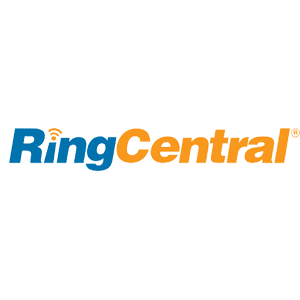 In conclusion, if it’s price you’re looking at, RingCentral is clearly a winner. But while eFax charges more, they offer unlimited storage and support for more file types. RingCentral Fax also has better cloud-based integrations. But they are evenly matched in many ways, including the basic service they provide, which is replacing a bulky fax machine with sleek email, web and mobile device support.